2017 Permits on Sale NOW!!! The government released permits almost an entire month early – allowing us to tell people before Time about our success securing their permits. Permits are still available for all year, with many dates sold out in May and June for the 4 and 5-day treks (2 Day treks are still 100% available), but all other months look good. If this is the trip you dream of making in 2017, book now. Getting your permits secured early ensures you will take this amazing adventure. We are here to help answer all your questions. Click next to the month to see how many permits are available. You only need a permit for your start date. The Best Local Direct Tour Operator 100% Cusco Based Company. Trekking & Jungle Expeditions Tour Operator Specialists. When you book with Bioandean Expeditions, 5% of the cost of your tour will be donated directly to support local communities through the “Inkayni Foundation”. 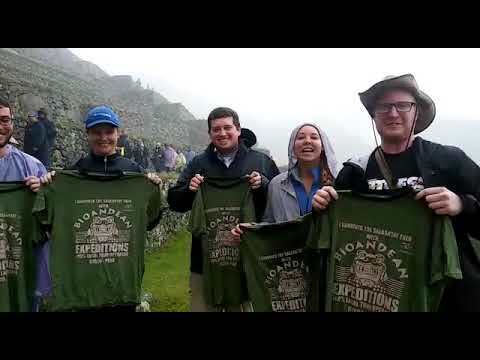 Bioandean Expeditions offers the best facilities and optimal conditions for our inca trail porters. Good wages, appropriate weight limit and trekking uniforms.